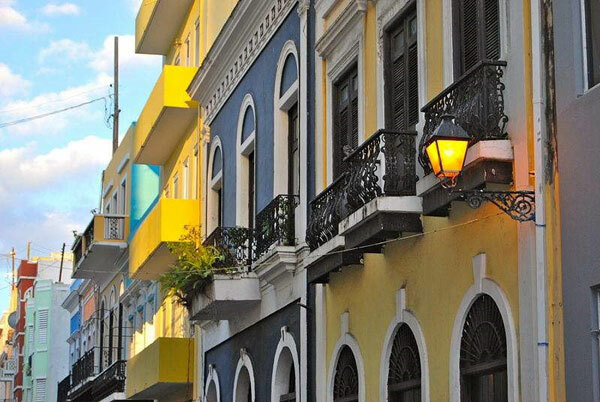 Don’t Miss the San Sebastian Street Festival in PR! Puerto Ricans are well known for taking advantage of any special occasion to throw a big party, and the Christmas season is no exception! In fact, the island is known for having the longest Christmas in the world. Every year the holiday season ends with its biggest festival of the year, and surely its most famous, Las Fiestas de la Calle San Sebastian or San Sebastian Street Festival. Also known as “SanSe” this festival showcases Puerto Rico’s culture almost entirely. There’s a parade, live music, dancing, food and locally created crafts to buy. Expect to experience a loud and colorful celebration like no other! Held in the capital city of San Juan on January since 1970, the festival is attended every year by thousands of people both from Puerto Rico and throughout the world. The 2016 San Sebastian Festival dates are still pending. 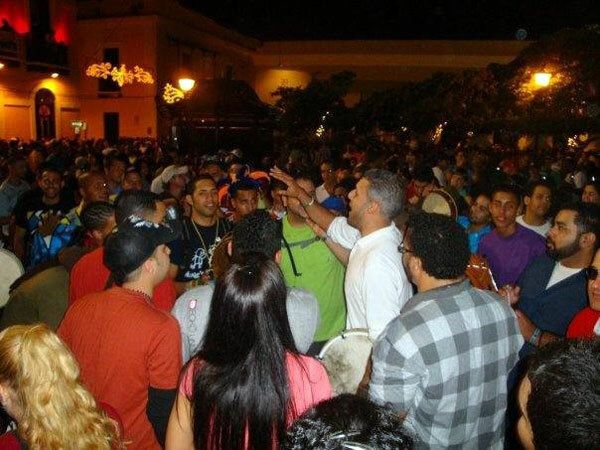 The first Sanse festival was organized by a priest named Juan Manuel Madrazo from the San Jose Church located on San Sebastián Street. He wanted to celebrate the feast day of San Sabastián and also to raise money to improve the condition of the street and help his parish community. The original San Sebastian festival went on for a few years when the priest moved away. The festival was resurrected in 1970 and has been an annual event in Old San Juan ever since, occurring around the official Saint Sebastian’s feast day on January 20th. Expect the festival dates to occur around the third weekend in January (though those dates may change) and last for 4 days. Since dates charge, be sure to verify them before making travel plans. While the SanSe Festival evolves over the years, it’s always essentially a big street party. Thousands of people of varying ages attend the event every year. While you’ll see a lot of families during the daytime hours, with young adults attending the late night events in droves. To get out of the shoulder-to-shoulder crowds, those in the know rent out the apartments above the event and watch from above Mardi Gras style. During the day is a good time to visit. It is mostly calm and you will see lots of families with children. You can walk around eating some of Puerto Rico’s traditional food like frituras or “fried food” (Check our article on types of frituras) or pinchos (chicken or pork kebabs) and drinking piña coladas, rum drinks or beer you can buy from street vendors. Small street stands with local artisan crafts at very affordable prices throughout the streets, although the main display will be at Cuartel de Ballajá. 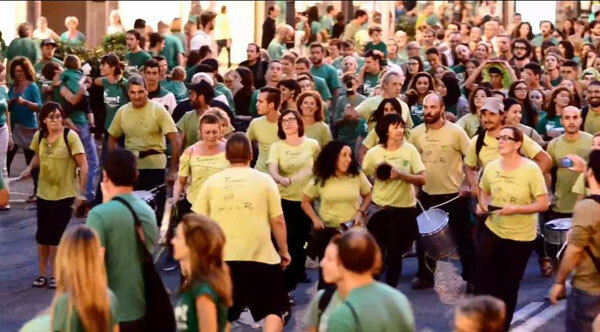 From time to time you might hear a batucada (a group of drumming percussionists) playing traditional songs that everyone knows the words to. The police presence in Old San Juan is very evident during the festival. Visibly, they are on every corner and up and down the streets at all times. It’s still recommended to stay out in the open. Don’t wear heels! You will be doing a lot of walking on uneven pavement and cobblestone streets. Your toes may get stepped on so cover them up. Bring cell phones and agree on a place to meet if you go with a large group of people as its easy to get lost in the crowds. Recently, the city has worked to make the festival more safe. The have tightened enforcement on underage drinking and stepped up police presence. Report any signs of a disturbance or danger — or even intoxication. Don’t bring any illegal substances or weapons of any kind to the event. Anyone over the age of 16 should be accompanied by an adult. Throughout the festival, live musicians perform of the 4 large stages placed on different streets in Old San Juan. The main stage is at Plaza del Quinto Centenario where you will be able to see the top-billed artists perform. 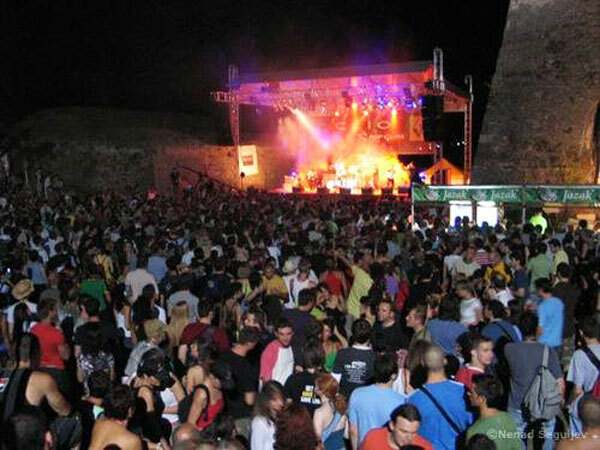 Other stages host folk, pop, rock and other performance. The lineup in released before the festival every year. On Thursday and Friday, parades and music shows start around 5 pm with the party wrapping up around midnight each night. On Saturday and Sunday, the party continues until 2 am. Be prepared for a lot of traffic getting into Old San Juan. A 10 minute drive into Old San Juan can easily turn into hours and parking is impossible to find unless you arrive extra early. We were able to get in early and leave before 5pm for the 2015 event. Your best bet if you go any later is to take public transportation created just for the event. There are shuttles Thursday and Friday from 3:00 pm- 2:00 am, Saturday from 9:00 a.m.- 2:00 am and Sunday from 9:00 am- 12:00. The cost is an affordable $ 1.00 for a round trip shuttle bus. There is also a $5.00 “express line” bracelet you can buy. 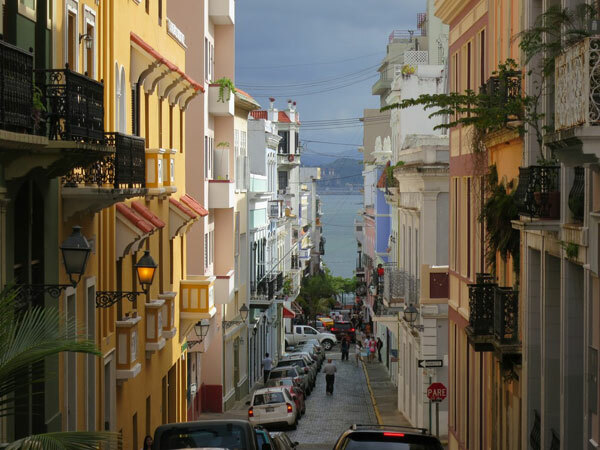 Many people rent an apartment in Old San Juan for the night to avoid the hassle of transportation. Book early for the best rates and availability. There will be a lot of drinking, which leads to some bad behavior. Stay aware of the people around you. Stay well hydrated with water. There are portable restrooms at the festival, but they are not maintained well, so may not be very clean or have toilet paper. Bring hand sanitizer and wipes if you require them. Bring cash to the event. Most stands WILL NOT have credit card system.